How to Merge Multiple Outlook Contacts in Windows? Millions of users use Microsoft Outlook to manage their email, contacts or other email related folders like calendar, task etc. That’s a witness to its usefulness – but the truth is that it always needs some care for its better performance. After prolonged use of Outlook, you realize that your Outlook has a lot of multiple Outlook contacts which are scattered with the similar names or email ids. Moreover, you are unable to search for a particular contact and you found to delete the useful one. This brings to a solution to merge multiple Outlook contacts to make it manageable and avoid accidents to happen. Unfortunately merging contacts manually is a long and complex process which is not easy to perform by many users. So It is recommended to use PST Merger Software for Windows users. 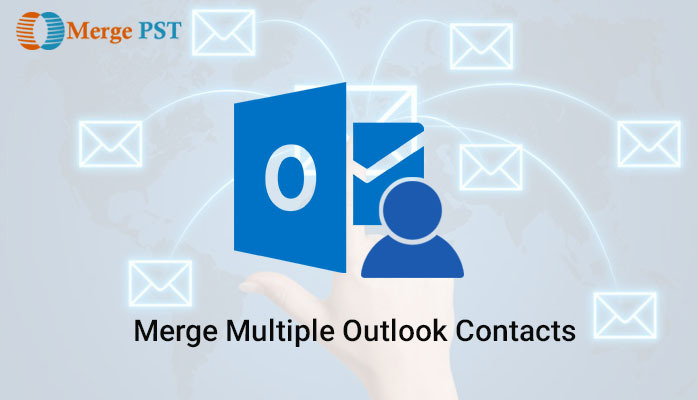 In this article, you will learn how to merge contacts in Outlook 2010/2013/2016 with the manual or a professional tool, and how to keep your contact list clean in the future. Although Microsoft Outlook provides many handy tools that we might use that we are unaware of. But regrettably, an option to merge the address book and combine multiple contacts into one is not available. Step 1. In Outlook, go to File > Open > Import. Step 2. In the Import and Export Wizard select the “Export to a File”. Step 3. Choose the option Comma Separated Values (Windows)”. Step 4. Select the New folder you created earlier. Step 5. Choose the destination folder to save the .csv file. Step 6. Click Finish to complete the export process. Step 1. Select “Import from another program or file”. Step 2. Choose option “Comma Separated Values (Windows)”. Step 3. Now browse to the exported .csv file. Step 5. Select your current Contacts folder, as the destination folder to import the contacts to. Step 6. Click Finish to complete the import process. Part 4: Merge the current contact with the original ones. Now you need to merge the current contacts that is your main Contacts folder with the original one(newly created contact in csv), so that no contact details will get lost. Open that folder and select all the contacts, then paste it into your main Contacts folder. Like you can see that the above-explained steps are kind of confused us in between somewhere in the steps. So to avoid any mistake or accidents while doing the manual process get the help with the professional tool; Outlook PST Merger Software. Join PST Files: This option allows users to join selected PST files by creating a fresh folder for each selected PST files in a new PST file. Merge PST Files: “Merge PST Files” options are for those who want to merge all the folders of selected PST files in another new PST file. Merge Contacts: These options allow users to merge multiple Outlook contacts into a new file. Remove Duplicates: The “Remove Duplicate” option allows users to remove all the duplicate items from selected PST file. Exclude Deleted Items: If users want to exclude the deleted items in their new PST file, then they can select this option. I hope this article has been helpful to you. How to Merge PST Files in Outlook 2010 Manually? How to Recover Permanently Deleted Emails in Outlook?